Welcome to the Friends Academy Parent Information page, the place to find everything – from school forms to permission slips, handbooks and what's for lunch. For all private information, including grades and comments, your child's classes, health records, and the FA E-mail Archive, please log in below to the secure FA Parent Portal. The private Parent Portal is available to new parents in July. The section contains documents that apply to all three divisions. For division-specific info, click on the appropriate tab. Click here for policies regarding School Dress Code, Transportation, Textbooks, School Hours and more. Breakfast and snacks: Both breakfast and afternoon snack items are available for purchase in the Dining Commons. Students can either pay cash or swipe their PIN code, which is printed on the Student ID card. Both breakfast and afternoon snack items are available for purchase in the Dining Commons. Students can either pay cash or swipe their PIN code, which is printed on the Student ID card. All Lower School students receive a daily snack, which is eaten in the classroom. Middle School students enjoy fresh fruit at the end of the school day. Questions: Contact Food Services Manager Jodi Resnick at 516-393-4233 or jodi_resnick@fa.org. Please login above to reach the Parent Portal and access Magnus Health SMR (Student Medical Records) to complete your child's Vital Health Record and upload all medical forms. Blank forms are available through Magnus Health and provided below for your convenience. Parent Permission is signed electronically online. FA Athletics approves all forms so if it your form is rejected, it's rejected because it is missing an item. Interim forms must be signed within 30 days of season start, dated with signature of parent and student. Winter and spring interim forms become available 30 days before each season begins. Parents will receive a direct phone call with a recorded message from the Head of School via the school's phone alert system. FA's status will be posted as a pop-up window on the FA website. FA's status will be available on Cablevision and FIOS - watch the closings and delays crawl on the television or go to the websites for News12 Long Island or FIOS1. FA's first line of communication is the phone alert system. If you do not receive a call and are concerned about the safety of the driving conditions, please check the FA website, News12 Long Island, or FIOS1. Below, please find helpful resources for protecting privacy and staying safe online. Pay my bill? Log onto the Parent Portal and click on "MyBackPack," then "My Account"
This section contains documents specific to the Lower School. All supplies are provided by teachers. Textbooks will be ordered by the school. You will receive more information over the summer about how and when these books will be distributed. You will need to complete a district specific book order form. We ask that you turn in your forms to your district office as soon as possible. If you wait until August, districts may not be able to fill orders in time for the start of school. A few of your books may be provided by the city. Typically, families receive very few books through this system due to budgetary constraints and the process is quite cumbersome. We try to provide some books from our inventory for these students. Please be aware that you are responsible for ensuring that your child has any books not provided by New York City by the start of the year. This section contains documents specific to the Middle School. Students can also purchase Friends Academy Physical Education uniforms from the "Flash Store." The “Flash Store” offers Physical Education uniforms to Middle and Upper School students. Open 24/7, parents can order directly from the site and have the clothing shipped directly to their homes in approximately a week. Textbooks provided by Textbook Central will be distributed to students on the first day of school. 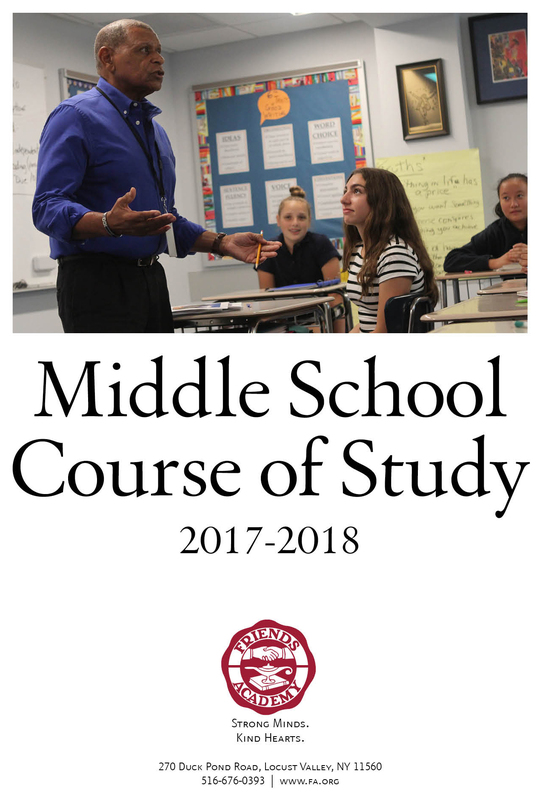 Click for a complete listing and description of Middle School clubs, times and advisors. This section contains documents specific to the Upper School. The trip itinerary is available when you log in to the password protected portal. All medical and athletic forms are now handled through Magnus Health. Please visit the Parent Portal and click on the Magnus Health icon to complete your forms. All Athletic and Physical forms must be uploaded to Magnus Health. You may access your Magnus Health SMR account when you login to the FA website; look for the the "Magnus Health" icon on the Parent Portal. All athletic forms (physical exam form, parent consent form and sports interim form) can be found at this site, completed and uploaded. Please note that parents with Upper School student athletes playing in Fall sports must submit their medical information and forms on or before August 15, 2018. All athletes must complete the interscholastic sports interim form. Interim form must be filled out and dated after July 26, 2018 for US athletes, July 19, 2018 for football and August 3, 2018 for MS athletes. You cannot practice until your physical form, consent form, interscholastic sports interim form, and concussion letter have been uploaded to Magnus Health. Support: If you are having difficulty navigating the Magnus system, entering data online or downloading the hardcopy coversheets and forms, please contact customer support at Magnus Health SMR by phone(877-461-6831) and email (service@magnushealthportal.com). It is very important for our student/athletes to come to pre-season practices. Athletes must have a fixed number of practices before they are eligible for the first scrimmage or game. Teams are chosen during these tryouts/practices; therefore, not being at practice limits an athlete’s exposure. Conditioning done in the pre-season practices prevents many unnecessary injuries and allows our student/athletes to develop the cardiovascular and muscular conditioning necessary to participate in that team sport. 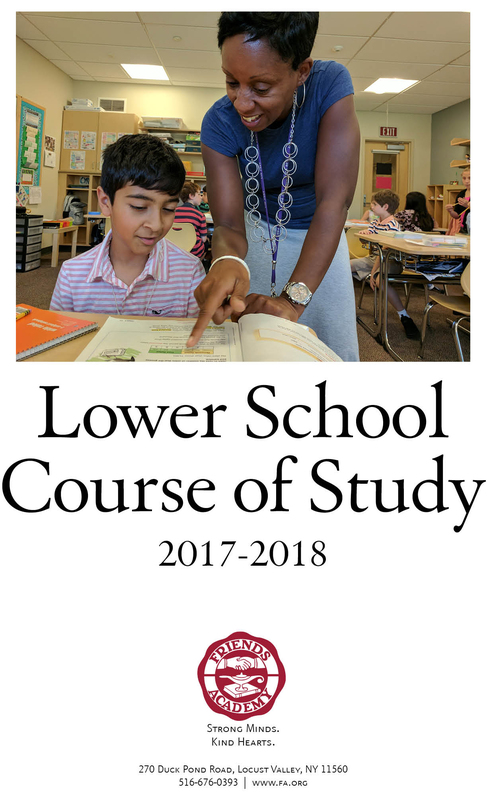 Upper School English (9th-12th grades) Note: The titles may change in August. In the Upper School, there is no general supply list. Needed supplies are communicated by each teacher on the first day of school.